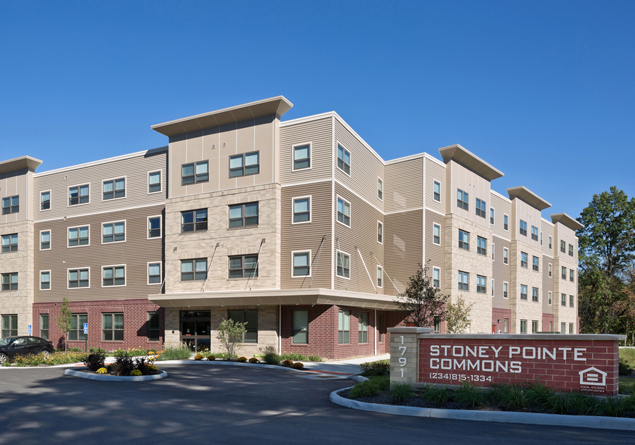 Stoney Pointe Commons — Hiti, DiFrancesco and Seiblod, Inc.
Stoney Pointe Commons is a new sixty-eight unit Permanent Supportive Housing building located in the West Akron neighborhood of Akron. 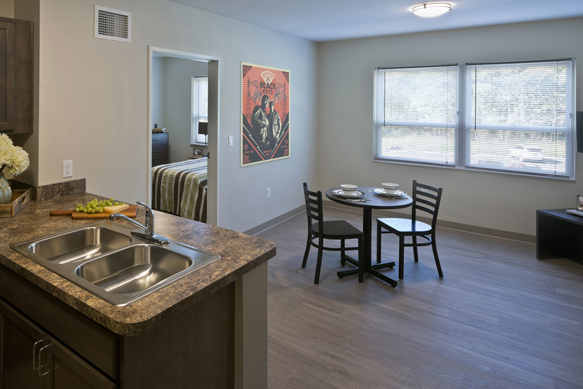 The four-story, 65,000 square foot building provides housing for single adults with a history of chronic homelessness. 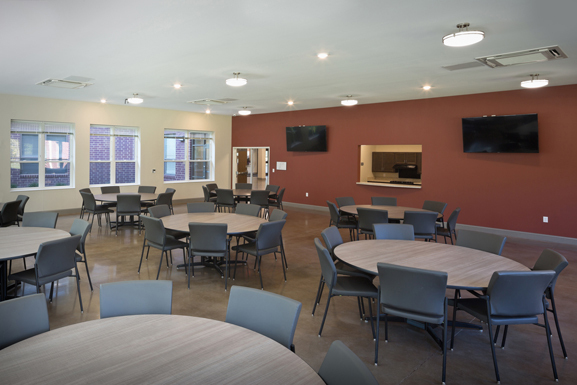 Common areas include a lobby, community room, life skills kitchen, resident training suite, computer room and secure outdoor patio. The project was designed to achieve LEED Silver Certification from the US Green Building Council (certification pending).